Global Views 6.60157 - The Honeycomb Hurricane/Vases are completely made by hand using a combination of ancient and modern techniques. 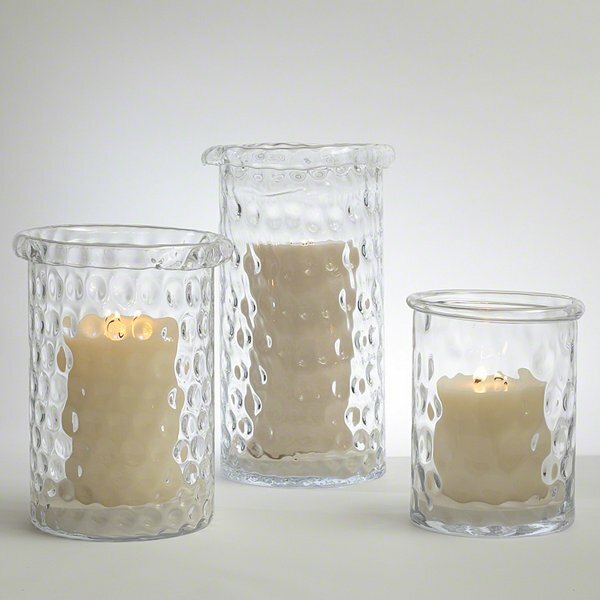 The honeycomb pattern is created by the glass artisan blowing air into the piece as it is being made. The overall height varies slightly due to the uniquely finished hand rolled edge. Because this piece is handmade, the bottom may not always be flat. We recommend using a material such as sand, gravel or glass stones in the base to level the candle if used as a hurricane. Shown as a set, but sold individually.